Many mobile phone customers will find it easier to cancel a contract and get their money back if network coverage is poor. Two major retailers - Phones4U and Carphone Warehouse - are to introduce a 14-day returns policy for customers who discover they have poor coverage. 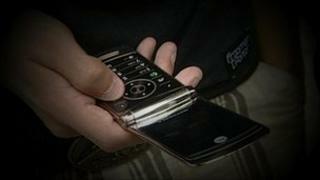 Other phone providers have agreed to tighten up rights for consumers. The move comes after pressure from the Communications Consumer Panel watchdog, which is set to disband next year. Since mobile phones became everyday items for many people in the UK, network coverage has caused frustration for some by preventing them making calls on the move. When the Panel conducted a survey a year ago, it found that 56% of mobile phone users it asked had suffered considerable problems with coverage. The technology has now advanced sufficiently for an estimated 97% of the UK population, and 91% of the UK land mass, to have basic coverage. Yet the Panel argued that contracts were confusing for people who discovered they lived in an operator "not-spot", and who wanted to cancel. More than 50% of customers were given inaccurate information about their rights, the Panel said. Providers can judge customers' claims of poor coverage by checking how many calls have been disconnected, or dropped, during a caller's conversation or the number of times numbers have been dialled by failed to get through. Now mobile phone providers are providing a more uniform response to consumers' rights if this happens - although there remains some difference between providers. Cancellation periods range between seven days and 28 days, with some providers committed to strengthening their policies next year. These are generally the same if the phone is ordered online or on the telephone, or bought in a store. "This is great news for customers," said Anna Bradley, who chairs the Panel. The Panel looks to mop up areas of consumer detriment that it believes have been overlooked by the regulator Ofcom. However, it is set to be disbanded in January, with some powers transferring to the expanding Citizens Advice network. In a separate report, the National Audit Office (NAO) said that the regulator should improve its handling of consumer switching, silent calls and broadband speeds. Ofcom had "further to go" to make it easier for people to switch between service providers, the report said.